There will be no new posts until the first two weeks of August, then I’ll come back. You can write comments and contact me, and I will try to reply! 1- I didn’t receive the email. 2- I replied, but I got this message: Delivery to the following recipients failed. Send it again from another address. Please, be nice, some emails are really rude! it is fine to criticize and say what you want, but be polite. 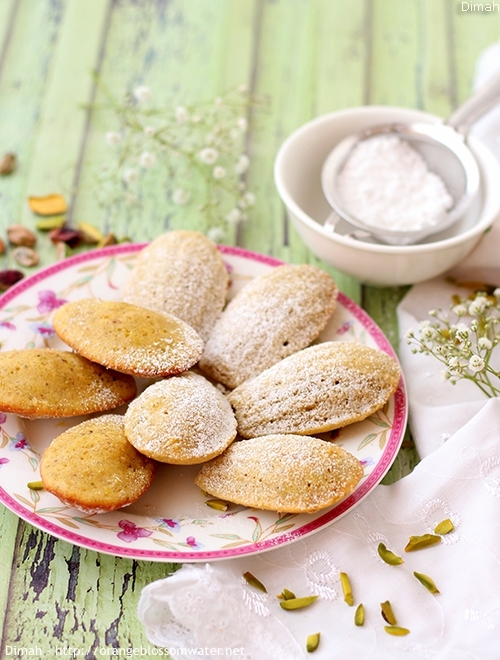 Madeleines are little cake like cookies that are baked in special molds that give them a delicate shell shape. Orange blossom water is often a secret ingredient in French madeleines. 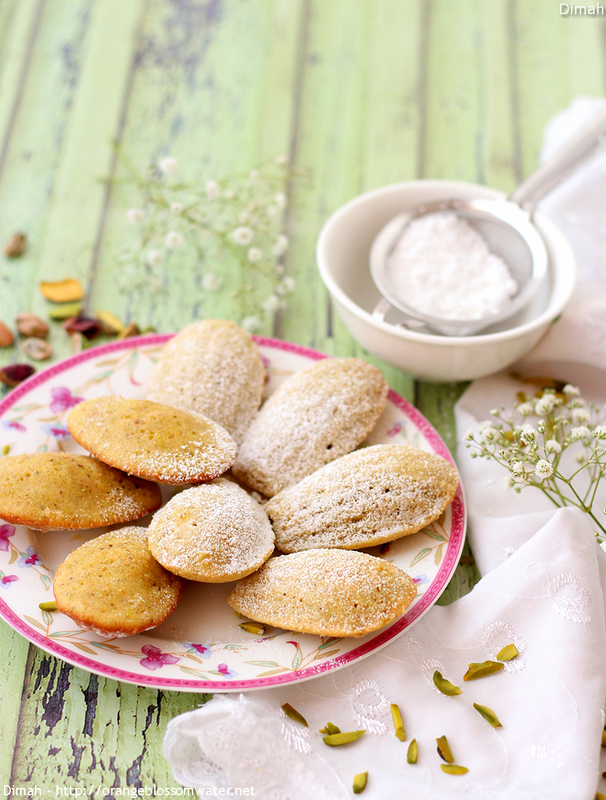 These pistachio and orange blossom water madeleines are my preferred flavor combination when it comes to these delicate French cakes. 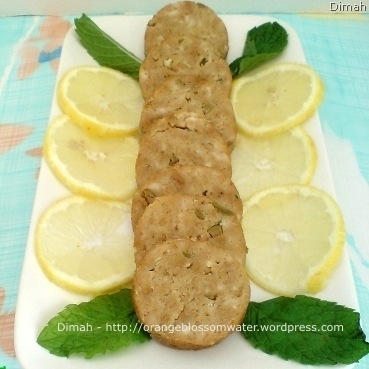 Kousa Mtabbaq is a dish form Hama, Syria. It is full of flavors, the main ingredient is vegetable marrow (marrow squash) fried in vegetable ghee, then cooked with meat, garlic, dried mint, pomegranate molasses, and tahini, then served with rice. Do you eat canned meat? This question was asked by my professor in organic chemistry lecture, everyone answered: yes, sometimes (in cooking meat is fresh, but sometimes we buy canned luncheon), and he said: it is better to stop eating canned meat, because it can cause cancers due to nitrites, and it is high in sodium. 1.Perhaps companies make chicken luncheon from chicken meat, bones and skins (have you watched Jamie Oliver in “Jamie’s School Dinner”, he said that chicken nuggets are made from chicken bones and skins, yuck!). 2. Or they make it from chicken and beef (oh, I hate beef, but I like lamb). 3. Or they make it from chicken and pork. 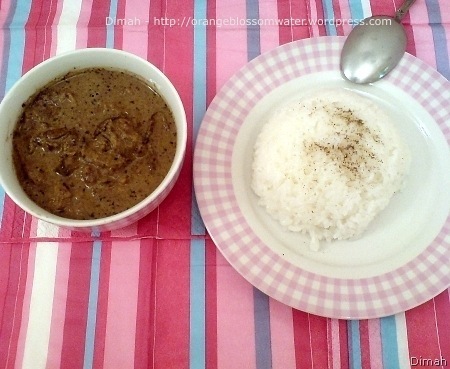 Pork and its derivatives are not Halal for Muslims, (some luncheon products are Halal certified). So homemade is the best!